Kiki Bertens saw her hopes of picking up ranking points in Linz blocked by a resurgent Margarita Gasparyan on Thursday. Margarita Gasparyan continued her recent run of good form with a hard-fought victory over Kiki Bertens at the Linz Open. Russian Gasparyan - whose career was held up by multiple knee surgeries - prevailed 7-5 2-6 7-6 (7-3) to reach the last eight and deal a blow to her opponent's hopes of reaching the WTA Finals. Bertens needed to make the quarter-finals in Austria to potentially move ahead of the eighth-ranked Karolina Pliskova in the race to qualify for the season-ending tournament in Singapore. 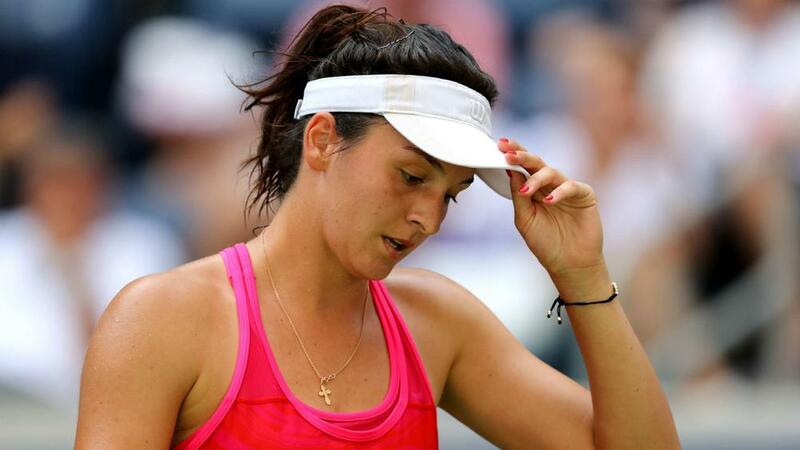 However, the second seed failed to take any of the break-point opportunities she created in a tense decider, allowing the determined Gasparyan to record her first career victory over a top-10 rival. The 24-year-old from Moscow claimed her second WTA Tour title in Tashkent last month and will next face fifth seed Camila Giorgi. Barbora Strycova wasted little time in progressing, the third seed thrashing Kristyna Pliskova 6-0 6-1 in just 45 minutes. Ekaterina Alexandrova rallied from a set down to see off Johanna Larsson 3-6 6-1 6-1, while Andrea Petkovic won her all-German clash with Tatjana Maria 6-1 6-3. In Thursday's final game, Kristina Mladenovic eventually overcame Timea Babos 6-4 4-6 7-5 after two hours and 39 minutes on court.